Wonderful job with the furniture for baby’s room. God bless you!!! Don’t forget, you cannot even find that kind of quality for that price. It looks expensive, great job. 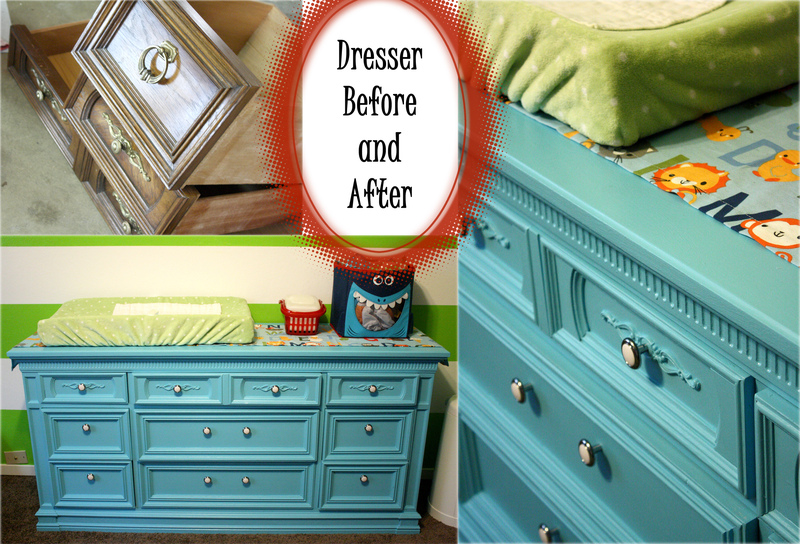 I love that blue on the dresser, so pretty! I really like the bright theme you seem to have going. Very fun!! Thanks! I love the dresser more and more and my baby LOVES to stare at the stripes! I love this look!!! Such a great way to tie mismatched old furniture (which is mostly what my husband and I have) into a room’s color scheme. And you can keep updating it as times and tastes change. Both pieces look great! 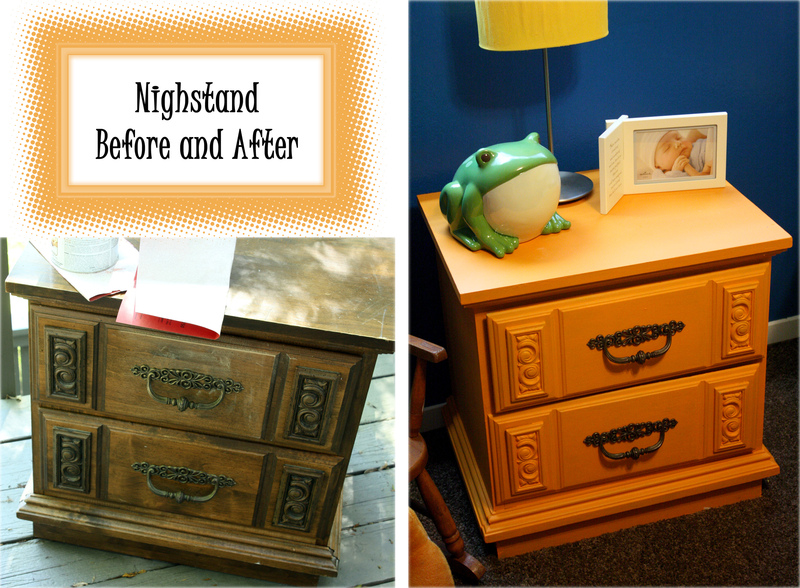 Can you tell me the paint color you used for the dresser? Let me find the paint in my garage and I will get back to you! Found the card! It is Behr Jamaican Sea (510B-5) in Satin.